I was driving home from work today listening to Car Talk. For those who are unaware, Car Talk is a National Public Radio call-in show that has been on the air since 1977. Two MIT educated brothers own a garage and fix cars. Callers talk to them about their car problems and get automotive advice. They also get a lot of other advice as Tom and Ray Magliozzi are quite the cut-ups. I used to listen to them years ago but they laughed so much at their own humor I kind of got fed up. And that was a shame because they really do have interesting callers and you can learn a lot about your car and car repair. They're on the air every Saturday morning from 10 to 11. I tape them so I can listen to them while driving home from work. The reason I tape them instead of listening to them live is one of distraction. I need a distraction from the abysmally poor drivers that over-populate the roads here in Savannah, Georgia. Many drivers here (many, not all) are afraid of driving over railroad tracks, so they slow waaaaay down to regardless how smooth the crossing. They'll drive slowly to go up a hill. They drive slowly in the passing lane (the "fast" lane) forcing others to pass them on the RIGHT. They don't use their turn signals, failing to give others information necessary to make driving decisions. They will stop dead in the road with plenty of cars behind them in order to be "kind" and let someone turn left in front of them. I could go on and on. The point is that it can drive me to unmitigated distraction to share the road with them and I have a hard time containing that frustration. Well, I found out that if I listen to Click and Clack, the Tappet brothers (as they are sometimes affectionately called) the good humor makes me much more pacific for the 35-minute drive and I forget (mostly) about the idiocy I encounter. This tranquility lasts for two days (Monday and Tuesday); from Wednesday to Friday I am on my own. As I listened to today's tape one caller mentioned he was from Coronado Island. This is a small resort island just outside San Diego, California. It reminded me of a weekend in October of 1988 which I spent visiting my brother Michael who lived in San Diego. It was one of the more memorable weekends I had ever spent and I thought a perfect tale for this book. 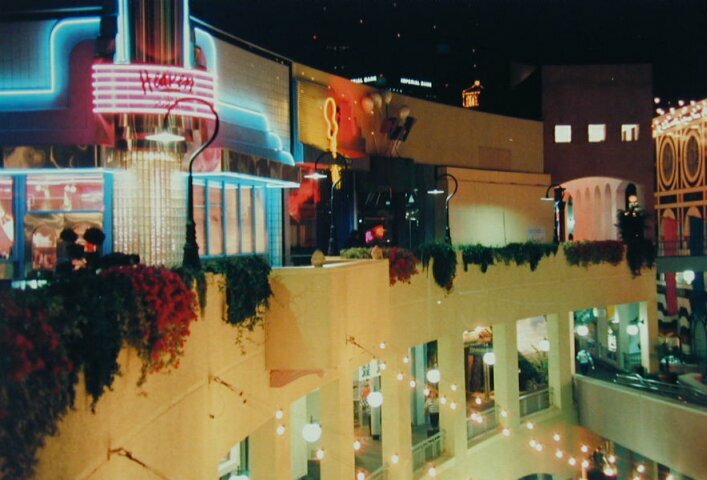 I had been to San Diego once before and it too was a weekend visit. Then I was in the Army stationed in El Paso, Texas, in 1972, working in the Orderly Room (the company's "office") between assignments, when a graduate of the artillery school to which we were associated was going home to San Diego. Actually, El Cajon, which is a suburb. But his Orders were written such that he had to wait three days, until Monday, before he could leave. He asked me if I could sign him out on that Friday but with Monday's date so he didn't have to sit around wasting the entire weekend when he could be home frolicking in the tropical paradise, surfing the waves, and playing with friends. I told him I'd be glad to do this favor for him IF I could accompany him, since I'd never seen the Pacific. Up until that point I hadn't been further west than El Paso. I wanted to see the fabled gold coast of Southern California. This was my chance. He said OK. So we drove the 730 miles that night leaving after work on Friday getting in to his house early the next morning. It was a short weekend but I fell in love with the area, beautiful mountains, the gorgeous beaches, and perfect weather year 'round. It was an idyllic location. So it was that a freak accident of fortune allowed me to fly out there for the weekend in 1988 to visit my brother. Mike was living in a Rectory having graduated from St. Francis College, part of the University of San Diego and more recently having graduated from the American University in Rome, anticipating the calling of the priesthood. He was between positions, a transition that could take him to school again or seminary, or back out into the working world. In the mean time he was working at COSCO, one of those membership warehouses, and had this Rectory to himself for a brief period, and when I called him one night in early October he agreed that it was a great idea I visit. The freak occurrence was that the flight was made possible by a free round trip ticket to anywhere in the continental United States, which had to be used by the end of the year. Only I wasn't the person whose name was on the ticket. Well, actually I was named on the ticket. It just so happened that one of the buyers, Barb Suomala, in the Purchasing Department at Edwards Brothers, Inc., a book printer/binder in Ann Arbor, Michigan, had a friend also named John Schneider who did a lot of traveling for business and got tons of free airline miles. So many miles in fact that he was not going to be able to use this free round-trip ticket. Barb told him that she worked with a buyer at EB named John Schneider too! He thought I might use the ticket. What a surprise to hear about this! My wife Melissa was surprised too, surprised that I didn't choose somewhere to go with her, that is! But I would have had to buy another ticket and there would be all those incidental expenses, and we really couldn't afford all that. (This concept wouldn't stop us in future travel decisions, but that is another story.) It had been a while since I had seen Mike and I thought it would be nice to spend some time with him one on one. I was right. Well, at least I had a fabulous weekend. I flew from Detroit Metropolitan Airport October 14th, Friday night, getting into San Diego before twilight hit. Mike got off work and picked me up and we drove out to a favorite point along the ocean in La Jolla getting re-acquainted with each other. Twilight passed as we sat for a while in conversation and reminisced sitting on the lava-like rocks watching the setting sun disappear into the Pacific. We then walked around a few of the streets of the upscale town of La Jolla enjoying a warm night's lights and ambience before going back home. The next day was to be one of sight seeing. We drove over to Coronado Island to ooh and ahh and walk around like the filthy rich in humble clothing. We drove over this huge bridge that spans the inlet, the San Diego Bay formed at the back of the island, tall enough to allow Naval ships to pass under as there is a large Naval Yard nearby. 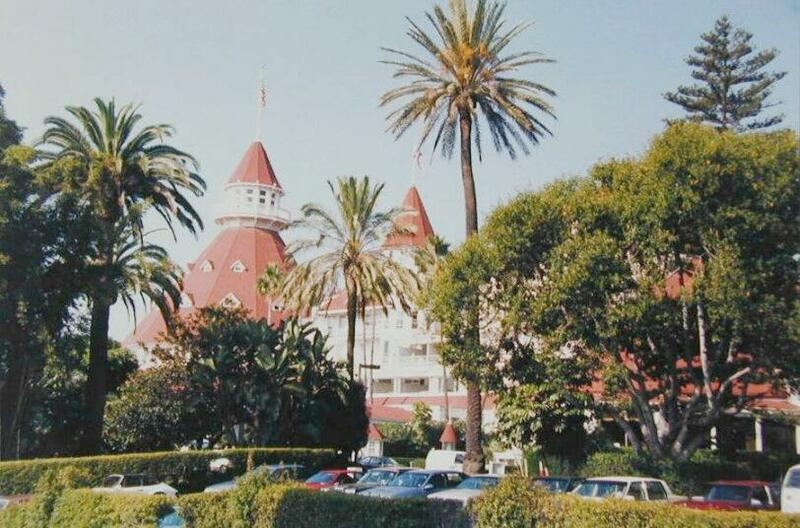 There is also a large old famous hotel on the island, Hotel Del Coronado. We walked through its spacious grounds and peeked into the lobby. The thick dark paneling and brilliant Spanish architecture was wonderful. 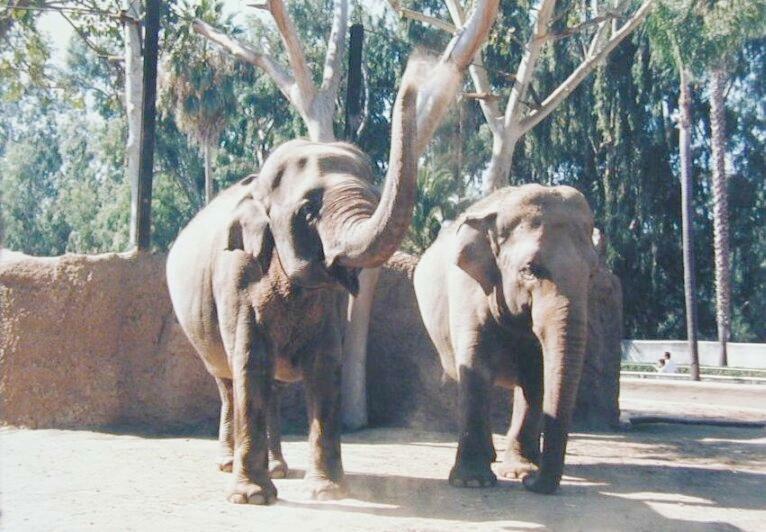 For the afternoon we visited one of the world's best zoos located in San Diego. We walked around it for a while admiring the animals and the careful planning and upkeep of their habitat, a new concept in full bloom there. Really CARE for the animals. It showed everywhere we walked. It dwells in a larger venue called Balboa Park, which also contains the Natural History Museum and a vast and magnificent ground. While Mike worked the next day he let me use his car and I returned to the park and walked around the grounds on a crisp cool, but unimaginably pleasant and sunny Sunday morning. I was regaled by the Spanish flavors of architecture, the tropical flora, and the peace in my soul. Saturday evening we dined at a very nice place, Mexican I think, and sat outside under a late afternoon sky immersed in pleasant conversation. After leaving the restaurant we got to Mike's car and discovered it wouldn't start. There had been no prior hint of problems. After fiddling with it for fifteen minutes or so, even trying a push start, Mike concluded it must be the battery. He said that fortunately there was a store nearby for which he had a credit card and he could buy a replacement. So we walked the mile or so distance, made the purchase, and trudged back to the car. With the battery weighing about twenty pounds, it was not the most pleasant of treks. For Mike, that is. For me it was just a nice leisurely walk. He graciously brushed off my offers to carry the load a while for him. The only problem now was how to swap the batteries. I don't remember now how he managed it, I think a passer-by had tools and helped, and with the battery installed and the car now running, we drove off, an early evening's darkness embracing us. While on the freeway back to Mike's place he remembered that the World Series was scheduled for tonight. It was game one and the Los Angeles Dodgers were playing The Oakland A's so he punched the radio. Being from Detroit we had been used to a ball team with a great history spanning the century, boasting players like famed Ty Cobb and Al Kaline and some World Series Championships. We listened with rapt attention. And then it happened. One of those moments that stay frozen in time. Avid baseball fans will recall the events. When we started listening, the game was in the bottom of the ninth inning. The Dodgers were down by 1 run, the score 4 to 3. A runner was at first and there were two outs, and former Michigan State University Spartan standout, former Detroit Tiger all-star, Kirk Gibson, was called out of the dugout to the plate. He shouldn't have been playing, having a strained hamstring and an injured knee and could barely swing the bat; and so he hadn't entered today's game. In fact this was to be his only appearance in this World Series. He hadn't even dressed for the game until late when he told manager Tommy Lasorda he might be able to pinch-hit. Such stories don't get any better than this. We're driving home and Kirk Gibson is called to bat. The stadium went wild! And Mike and I went wild, driving madly home in the darkness to get back to his house to catch this on TV. Will we make it in time? Will Kirk Gibson go down in flames? Will LA lose? It was incredible! Glued to the radio and to the road we listen to the play-by-play as Gibson took his bat. Picture this. Bottom of the ninth, one run down, bases loaded, two outs. You can feel the electricity in the air! Time seems to slow as the A's pitcher, Dennis Eckersley, makes his windup. The pitch. Gibson swings. He fouls off the first two pitches and the commentators exclaim that there is obvious pain with each effort. (Get home, get home so we can watch this on TV!) More pitches are thrown. A slow dribbler is fouled off down the first base line! Ball one outside. Another foul tip, then follows two more balls outside. The count is now three and two! We turn the corner and pull into Mike's driveway and almost don't even turn the car off but we need the keys to unlock the front door. We almost don't close the car doors and we run to the house. We're in and Mike turns on the TV, almost at the climax. But there are a few seconds of the drama left to absorb. We sit down just about at the time the pitcher delivers the ball for what he's hoping is strike three and an overwhelming advantage in the series. Once more, grimacing in pain, Gibson swings the bat with as much determination and adrenaline as any human can muster. He seems as much the underdog that night as was his team in the Series. The ball meets the bat! It's a fly ball to right field. The outfielder goes back, back. He's at the warning track. But it's to no avail. The ball lands so far over the fence as to make any attempted catch pointless. The ballpark erupts as if jolted by an earthquake. A two run home run to come from behind to win and end the game 5 to 4! Gibson can barely hobble unassisted around the bases but still he's jumping up and down pumping his fists like an ecstatic lunatic! I can still see it in front of me. Mike and I are almost delirious seized by the heaviness of drama and heroism. The wounded gladiator with almost inhuman strength overcomes the greatest obstacles and with a last dying effort pulls victory from the jaws of defeat. It was monumental. I'll never forget the power and awe of that moment. Sure it was just a sporting event, just a game. But it was magnificent. I then grabbed Mike's phone to call Melissa twenty-three hundred miles away to share the event with another sports fan. She had been watching too, and we all basked in the joyous moment of victory, of a type that rarely comes in one's lifetime. What a night! A more tranquil Sunday dawned, another of those "perfect days" in paradise. 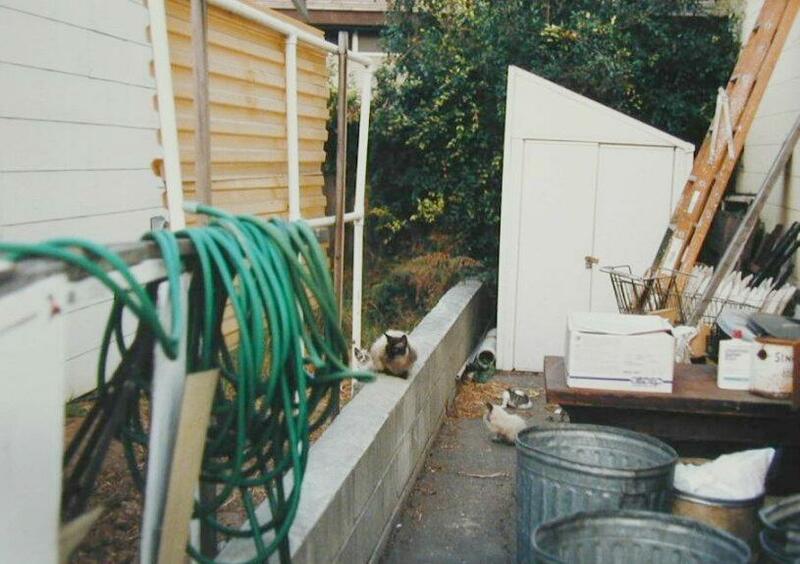 I looked out the bedroom window and there, between the houses, along a low, painted cinder block wall peeked a couple of the tiniest kittens you'd ever expect to see outside on their own. Then I saw their momma. They were Siamese babies and quite adorable. They spotted me looking at them from the inside of the house and paused to stare back at the weird creature from another dimension. So I did what any normal human does. I took their picture. It is difficult to remember everything we did and in what order that weekend. Mike had to work Saturday or Sunday, I forget which but I think Sunday. I mentioned he had let me use his car and I went back to Balboa Park and continued my exploration of that gorgeous garden. I lazily walked the grounds taking pictures and wandered through the Natural History Museum. Its beauty and peace is indescribable. After Mike got off work we returned to Coronado Island to the beach to enjoy the crashing tide, laying in the sand as in a dream; creating a kingdom of our own by virtual possession in the aura and glory of its Southern California golden sun. The water was too chilly to be inviting but the sand was warm and the view stunning. Sunday evening Mike had scheduled attendance to see a play at a local theater. I wish I could recall its name, but the setting of the story was the back hills of West Virginia and how two opposing families would deal with a Romeo and Juliet style occurrence in a collision of religious intolerance and the pride of feuding families. The theater was intimate and the stage occupied by few props. But such emptiness in no way hindered the involvement the audience would feel in this drama. It was one more remarkable event in a remarkable weekend. After the play we walked around a three level kind of a brightly neon colored out door mall and had a light late dinner. On Monday I had to depart. But it was a splendid weekend in an extraordinary city. Actually I saw little of the city itself. While we did briefly get downtown to the wharves, our best times were on Coronado Island, Balboa Park, the evening at the play, the walk for a battery after a fine meal, and the World Series game, enjoying the company of a brother. It was very gratifying spending the time with Mike. We talked, remembered, joked, teased, and got re-acquainted after being apart since 1977 when he left home for the California Dream. It will always be a special weekend in my mind and I recall it not infrequently. Hopefully that's not the distance of time mythologizing the memories, but a true treasure of the heart.